Pfingsten Partners LLC (Pfingsten), a leading Chicago-based middle-market private equity firm, is pleased to announce the purchase of the stock of Dynapower Company, LLC (Dynapower or the Company) of Burlington, Vermont. Jordan Knauff & Company served as exclusive financial advisor to Dynapower in this transaction. 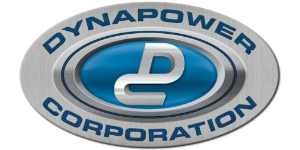 Dynapower is a global leader in the design, manufacture, and service of custom AC and DC power supplies, bi-directional inverters for energy management systems, and power transformers used by industrial, energy, and military/defense customers across a variety of markets. The Company has structured and organized itself to deliver fully integrated power system solutions by producing and supplying major sub-assemblies and services that are designed and built in-house. This strategy provides important competitive differentiators and benefits to Dynapower customers, including the ability to internally manage projects from design to delivery, offer reliable and reduced lead times, and create high quality products that have exceptional dependability in the field. Pfingsten Partners LLC is an operationally focused private equity firm that focuses on building better businesses through operational improvements, professional management practices, global capabilities, and profitable business growth rather than financial engineering. Pfingsten maintains a long-term approach focused on transactions between $15 and $100 million. Jordan Knauff & Company (JKC), an investment bank based in Chicago, Illinois, served as exclusive financial advisor to Dynapower Company, LLC in this transaction. JKC is a knowledgeable and experienced provider of a comprehensive line of investment banking services to private companies. Services include mergers and acquisitions advisory, capital formation, and strategic financial advisory services to companies in a variety of industries. To learn more about Jordan Knauff & Company, please contact G. Cook Jordan, Jr. at 312-254-5901. JKC is a member of FINRA.